I already had this daily system shelving from Pottery Barn, but I added the top ledge to keep thread that I use frequently within an arms reach. 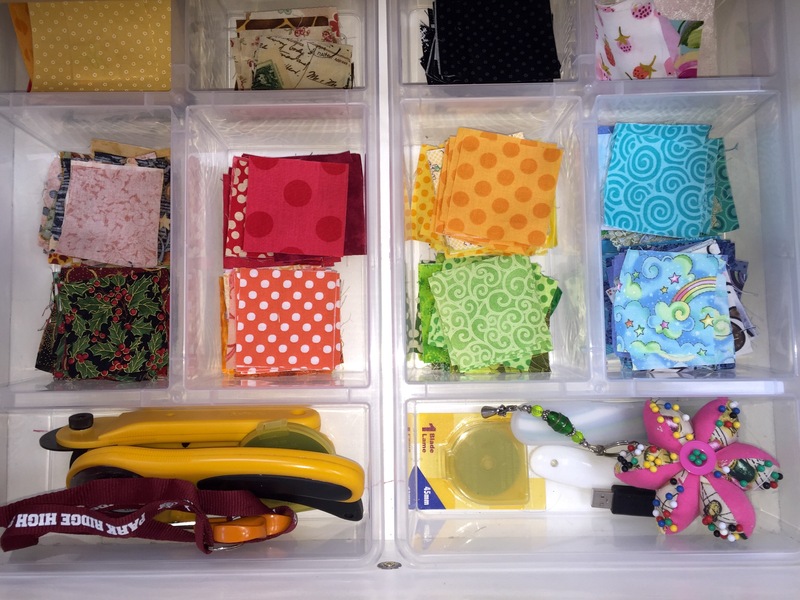 I also cleaned and organized the center part to have buttons, snippers, tape measures and patterns that I plan on using soon within easy reach. This area had become a huge pile of works-in-progress. But, now they are all either done or put away, leaving the spot free for reading and storing magazines I haven’t quite gotten to yet. 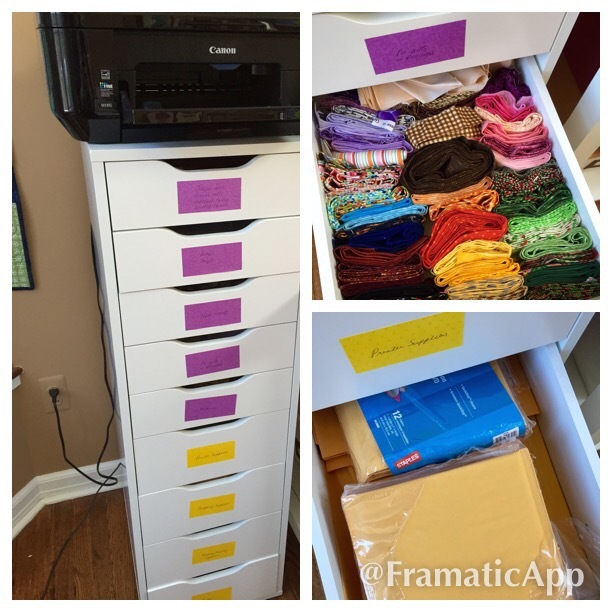 I got this nifty little storage cabinet when I went to IKEA for Maddie’s bedroom redesign. I organized the top part to store work-in-progress projects that have been cut but haven’t had a whole lot of sewing done. I also have a few drawers for storing component pieces, like leftover or ready-to-go bindings as shown. Then, the bottom sections are being used for shipping supplies and other materials used to fulfill orders from my Etsy shop. I got a whole bunch of these plastic storage bins from IKEA too. I have two kitchen islands in my sewing room, one for a cutting table and one for an ironing table. Two of the of plastic bins together fit perfectly in the top drawers. On the cutting table I use them to cut scraps to size as I finish cutting a larger project so that when I’m ready to do a scrap project I can just grab them and go. 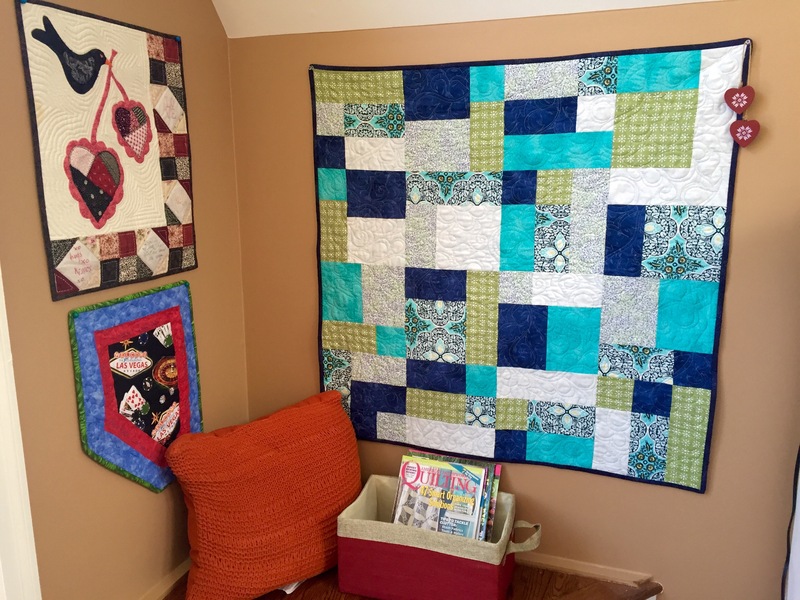 It’s a great way to do a little bit of sewing without a lot of thought or time needed after a busy day at work. 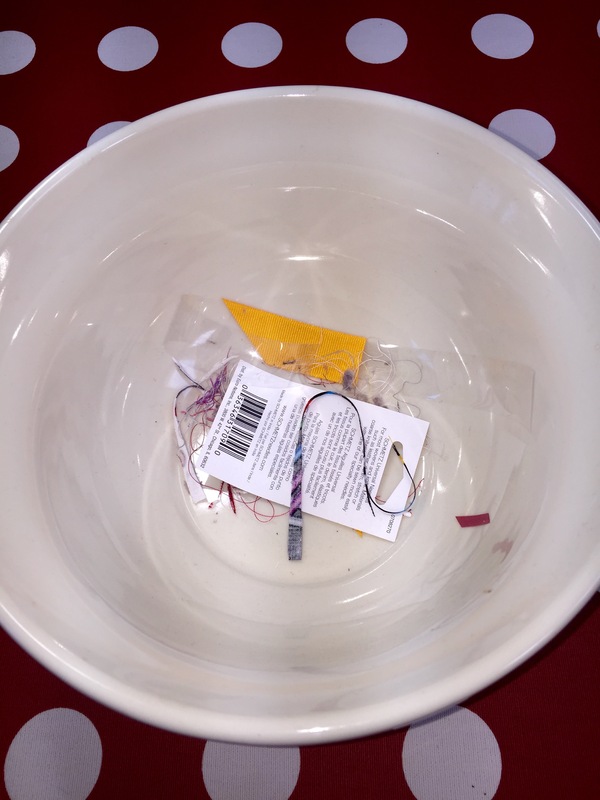 Garbage bowls have become quite the rage when it comes to cooking, but I’ve always used them for both cooking and sewing. The one shown is actually part of a stacking set of three that I use in the sewing room. The largest one fits on the cutting table where I tend to have the most waste. The medium one, as seen in the picture, is on my desk next to my primary machine. And, the smallest one sits next to the embroidery machine, where the scraps tend to be snips of thread. Having these bowls in place allows me to keep my workspaces much cleaner and makes a more thorough cleaning of the room easier as I just dump them in a garbage bag and I’m good to go. Who am I kidding? Rob handles that! This is perhaps the most obvious tip and something that has been the most helpful to me. 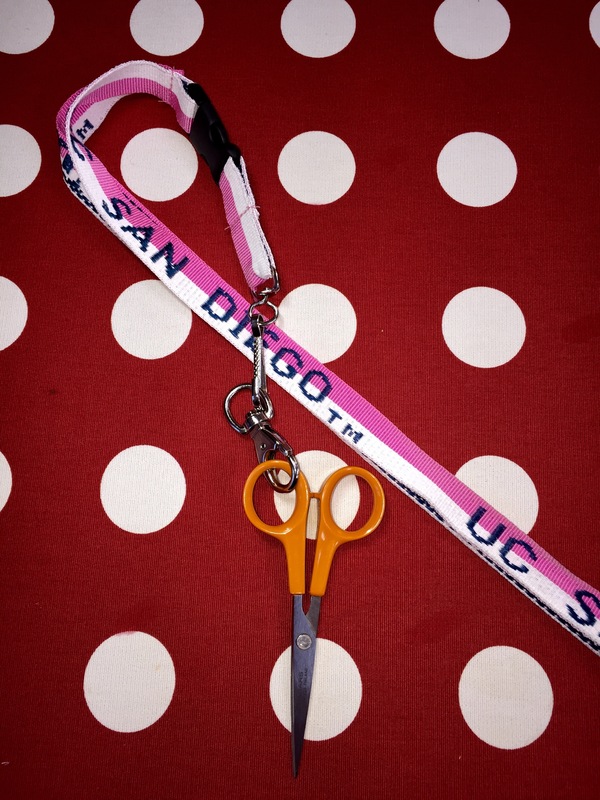 When we were visiting Sophia at college this past fall, we all bought UCSD lanyards. Rob and I both use them in the sewing room with our snippers attached and wear them around our neck. That way, as I move from project to project, I always have my snippers handy. Even right now, I’m embroidering a towel, making curtains for Maddie’s room, and may do a little bit of work on the long arm machine. I know I won’t waste time looking for scissors. That said, one caution is to make sure you don’t poke yourself with the scissors if you sit down. Seriously. It has happened. None of these ideas is particularly unique, but they work for me. 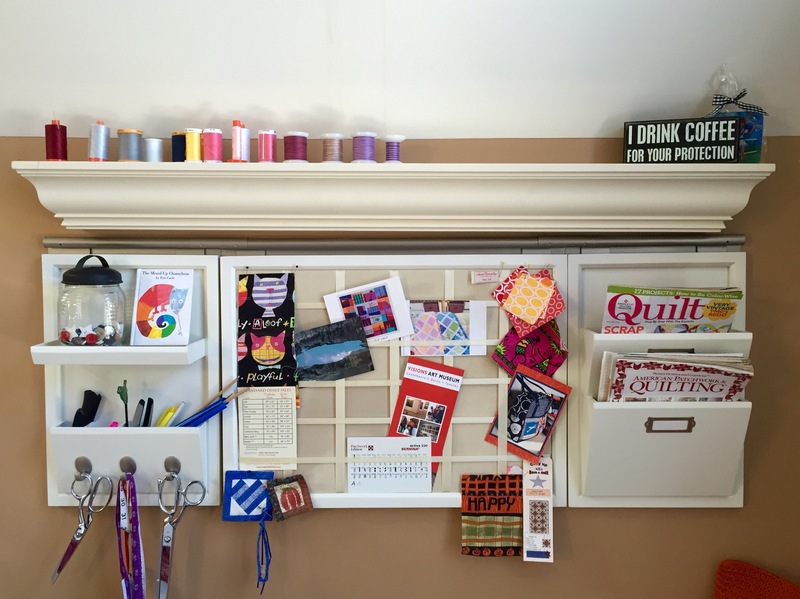 How do you organize your sewing room? What tips can you share that help you be more productive?